Why do some families get lice and some don’t? 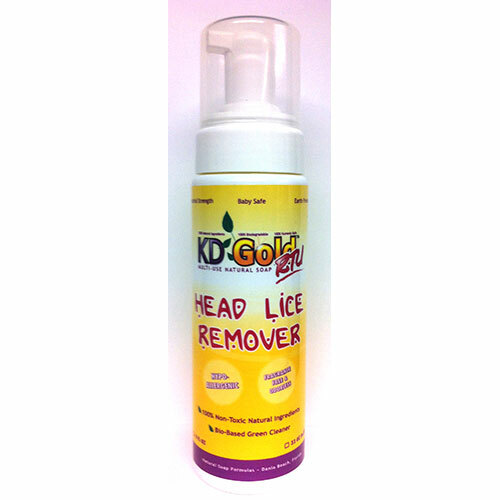 Why do some kids in the same family get lice over and over again while siblings stay lice-free? We can only tell you the conclusions we’ve come to after talking to thousands of families all across the country, some of whom have been battling lice for months and even years! Bear with us as we get a little technical. 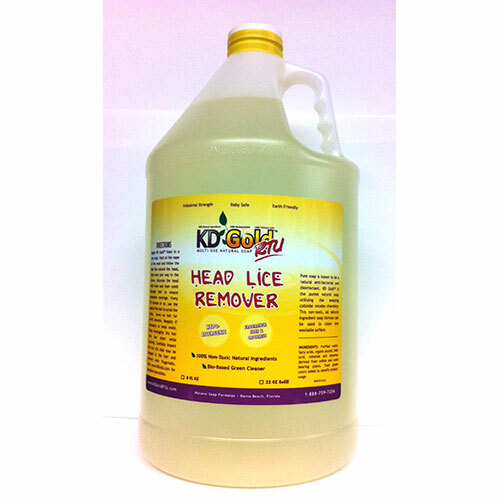 Over-the-counter and prescription lice products contain pesticides, which are neurotoxins. The US Government tells us that the amounts contained in these products are not harmful to health. But what you may not know is that everyday household cleaning and personal care products also contain minute quantities of neuro-toxic ingredients. And research is showing that while each product might contain safe levels of these ingredients, the problem is in the combinations of ingredients in all the different pesticides, cleaners, and personal care products used, with adverse effects building up over time. The cumulative effects of these chemicals can be damaging to your health. You probably think you don’t have that many pesticides in your house. Well, OK, maybe some bug spray for the garden, some mosquito spray and repellent, some ant powder, moth balls, termite treatment, roach motels – hey, wait, that’s quite a few. But did you know that any cleaning product that claims to kill bacteria also has pesticide in it? Did you know that your air freshener has the same pesticide as one of the leading OTC lice treatments? If you spray for insects, if you have your house fumigated, if you spray your garden for pests, the accumulation of pesticides is increased with every application, affecting the blood chemistry of every person in the family, especially young children whose still-developing organs are less capable of handling this onslaught of toxins. Not to mention hair care products, sprays, perfumes, body lotions and even toothpaste. Now add to that the chemical lice treatment(s) you’ve been using and you can see that the scales have just tipped way over to the toxic side. What’s created is what we like to call a “toxic chemical soup” in your indoor household environment. 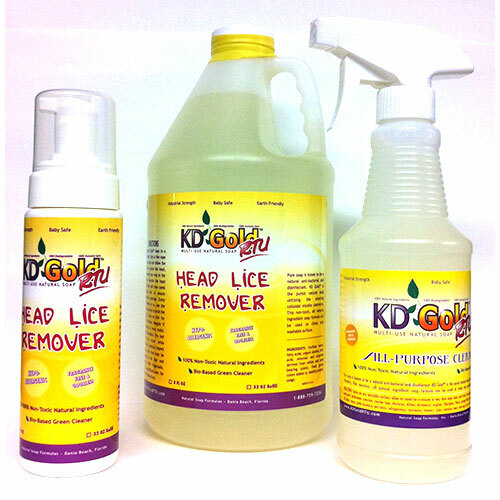 Is it beginning to dawn on you why the over-the-counter lice products aren’t working anymore? It’s like taking a one-a-day antibiotic and then wondering why the medicine doesn’t work when you’re sick. So, you and your house need to go on a chemical-free diet. What exactly is that? any other cleaners you may be using. 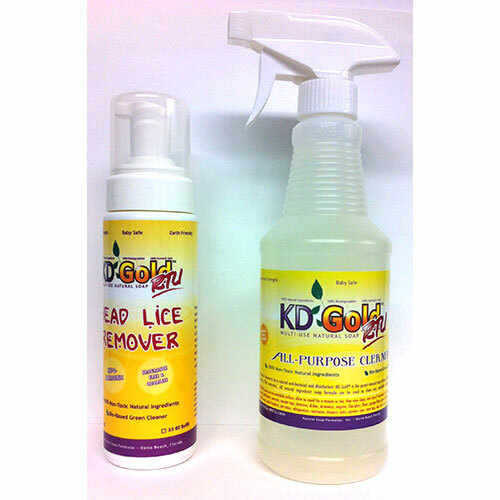 KD Gold is so versatile that it can be used for almost every cleaning need you have. It’s especially important that you do not use anything that contains a pesticide or fragrance (even your hair conditioner should be unscented). This means no spraying of anything containing pesticide inside or outside the house, no ant powder, no flea and tick stuff for the family pet. It’s also important not to use anything marked “anti-bacterial,” as that means they also contain pesticides. If you have garden pests, you can create a weak dilution of KD Gold and water and spray directly on the plants. For ants, just spray along entry paths that the ants may be taking into the house. Cleaning with KD Gold will discourage the ants as well. What’s wrong with chemical lice treatments? 1O’Brien, Mary 1990, “Are pesticides taking away the ability of our children to learn?”, Journal of Pesticide Reform, Vol. 10, No. 4, Winter 1990 – 1991, pp.4-8. For more information call 1-888-759-7256.